Early in 2018, shortly after Arq’s one year anniversary, we launched our first annual survey. We asked Arq’s community to share with us who they are, what they like, what they don’t like, and the things they’d love to see from Arq in the future. Arq is committed to creating welcoming and relevant resources for all different kinds of folks who want to connect with Jewish life and culture, so it was important for us to learn who you are. A caveat: what we learned about Arq’s community from our annual survey only represents the people who chose to share with us who they are. If you don’t see yourself represented in our takeaways or have ideas about how Arq can better include and serve you, we’d love to hear from you. According to our survey responses, more than half of Arq’s community members are women, although we’ve got a strong contingent of guys. We offered up the option for our survey respondents to identify as non-binary, but no one did. So, we’re wondering: if you’re a man or if you identify as gender non-conforming, is there something we can do to make Arq more appealing to you? Nearly 10% of Arq’s community identifies as non-white. The Steinhardt Social Research Institute’s American Jewish Population Project reports that 11% of Jews in the United States are Jews of Color. We aim to build a community that is representative of the diversity within Judaism, as well as welcoming to people of all backgrounds who are not Jewish but have their own motivations for connecting with Jewish practice and community. On a related note, most of our survey respondents were born Jewish and still identify as such, but nearly 10% of our respondents converted to Judaism, 5% have one Jewish parent and identify as Jewish and connect with other religion/s, and another 5% are not Jewish but are close to Jewish family and friends, so it’s important for them to be connected to Judaism. We want you all to feel you can comfortably access information and experiences that help you understand and relate to Judaism. If that’s not your experience, how can we make Arq more inclusive of you? 70% of our survey respondents live in a large city, but we know we’ve got community members repping smaller towns, too. More than half of our survey respondents have an employer, while 15% have a side hustle. We respect that entrepreneurial drive! 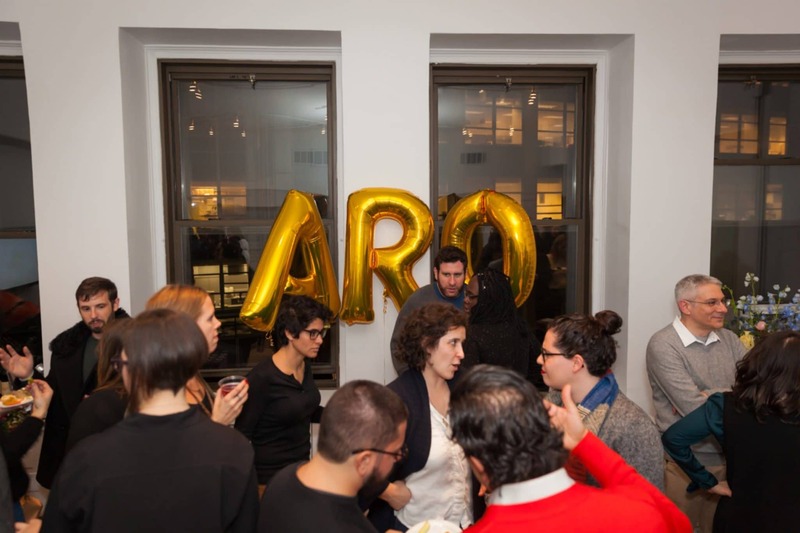 Diversity and inclusiveness in Arq’s community isn’t just about race, gender, or geography, it’s also about the myriad ways people define their Jewish connection and practice. First things first: we asked, what is your definition of what it means to connect to Judaism? The five most popular answers were carrying on Jewish traditions (e.g., giving Hanukkah gifts and hosting holiday meals), being involved in a Jewish community, being proud of your Jewish heritage, observing Jewish holidays, and being a moral person. Then, we asked, how and when do you incorporate Jewish practice or tradition into your life today? The most popular responses were the Passover seder, lighting Hanukkah candles, attending High Holidays services (including fasting on Yom Kippur…and breaking the fast! ), and Shabbat dinner. We also wanted to know what your biggest challenges are in connecting to Judaism. We didn’t want to jump to conclusions on this one, so we solicited open-ended answers to this question. There were some clear themes: it can be tricky to find the right Jewish community to join, oftentimes strict religious observance or belief in God gets in the way, sometimes it’s just too darn expensive to get involved, many of our survey respondents grapple with their relationship to Israel, and good ‘ole time constraints make it hard to prioritize Jewish practice. The respondents of our survey are looking for fulfilling, authentic, ways to integrate Judaism into their lives in a way that recognizes their whole selves. Parents, non-parents, single adults, converts, non-Jewish partners of Jews, and people who were raised Jewish without a Jewish mother don’t want to be silo’ed or, even, rejected based on those labels. The respondents of our survey want to be recognized as Jewish if they identify as Jewish, not questioned or tested. They are seeking new, creative, and spiritual ways to practice Judaism – observant and non – and hope to merge progressive values and lifestyles with a love for tradition and history. They consider it very challenging to find a sense of belonging in Jewish communities that do not encourage a plurality of nuanced views about Israel. They like ritual and community but don’t necessarily feel the need to pray or believe in God. The respondents of our survey most commonly described Arq as informative, inclusive, relevant, and welcoming. Most of the respondents of our survey heard about Arq from a friend. Those of our respondents who shared Arq with their own friends did so by forwarding an issue of our weekly digest of all things Jew-ish, The Ish, or by mentioning Arq in passing conversation. Thanks for spreading the word, and please keep it up! So, what need does Arq serve for anyone anyway? According to our survey respondents, Arq is helping Jews reconnect with their roots and Jewish community and is just as helpful of a resource for non-Jews who are interested in better understanding their Jewish loved ones. Arq feels like a community where people can explore themselves and deepen their connection to others who are doing the same. We asked: what do you think Arq is doing well? Our respondents highly value Arq’s overall inclusion of a wide range of Jewish touch points and realities, as well as Arq’s transparent, warm, nonjudgmental tone. They mentioned Arq’s appreciation of Jewish culture and traditions and simultaneous recognition of others from which to pull inspiration and learning. They appreciated the diversity and range of Arq’s interviews with people from all backgrounds (not just the Ashkenormative!). They also value Arq’s visual design and intentional content curation, which balances depth and joy. And, of course, we wanted to know: what do you think Arq can improve? There may be such a thing as too much of a good thing! In response to the immense amount of content included in The Ish, our weekly newsletter, a number of Arq’s survey respondents suggested a more streamlined and mobile-friendly approach. Many of Arq’s survey respondents asked for more original content by Arq, from food guides and interviews to content specifically designed for people who were not raised Jewish. Finally – and we’re happy to say we’re already making moves here – Arq’s survey respondents wanted to feel more connected to other people in Arq’s community, especially online. We suggested a few ideas, and more than half of our survey respondents said they very interested in an online store with products like the ones featured on Arq and in The Ish; an annual retreat where you can relax, nourish your spirituality and connection to Judaism, and connect with yourself, others, and the world around you; all-inclusive, intimate trips organized and led by Arq; and access to an online community of Arq’s readers. Suggestions from Arq’s respondents included lots more food-related content (including recipes, restaurant reviews, and chef interviews), more resources and tips for Jewish ritual and lifecycle events (including prayer, holidays, and interfaith relationships), a calendar of events, and more of anything and everything between the two coasts. More than one person requested a dating service! We also gathered the most ambitious and exciting list of Jewish (or Jew-ish) icons and influencers whom you would you like us to interview. Overall, you wanted to see more interviews with people of color, people who have converted to Judaism, trans people, people living outside of the United States, and more chefs. Know someone who fits the bill? Introduce us, please! We’re always open to your feedback. Email hey@thisisarq.com if you have any questions about our survey takeaways or you’d like to suggest a way forward.